Posted by Carolyn Burns Bass in commercial fiction, fiction. The publishing world has been squabbling recently about the treatment of female authors in A-level media, The New York Times in particular. Within that dispute is the argument of whether women’s fiction should even be tagged with gender to begin with. What makes women’s fiction and why? We’re armoring up for this discussion this week in #litchat. 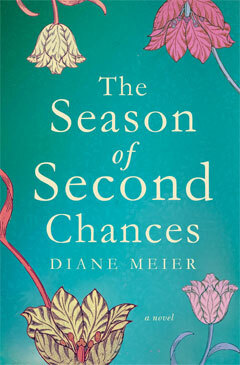 Joining us as guest host on Friday, September 17 is Diane Meier, author of The Season of Second Chances. The topic of gender in fiction has long been of interest to Meier. Her sharp perspective of chick lit vs womens lit ran in this Huffington Post piece, while she writes about women and fiction frequently in her blog at Diane’s Eye. The Season of Second Chances examines the life of an English professor so numb to her own life it takes a new teaching position and subsequent move to a small college town for her to realize how lonely she has become. Add the renovation of a long-neglected Victorian house and the handyman who brings it to life and you have a story of second chances both realized and spurned. Meier is author of The New American Wedding, and president of MEIER, a NYC based marketing firm whose clients have helped define luxury marketing. The Season of Second Chances is her first novel. 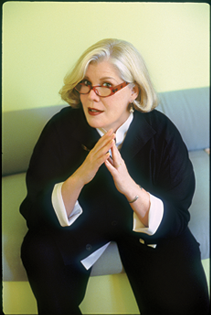 Meier lives in New York with her husband, author Frank Delaney. Read the general topic chatscript from this week’s #litchat here. Read the chatscript from Diane Meier’s visit to #litchat here.